Tomatoes are the edible, often red, fruit of the plant Solanum lycopersicum, which is commonly known as the tomato plant. 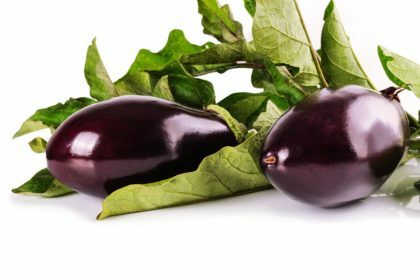 The plant belongs to the nightshade family, Solanaceae. 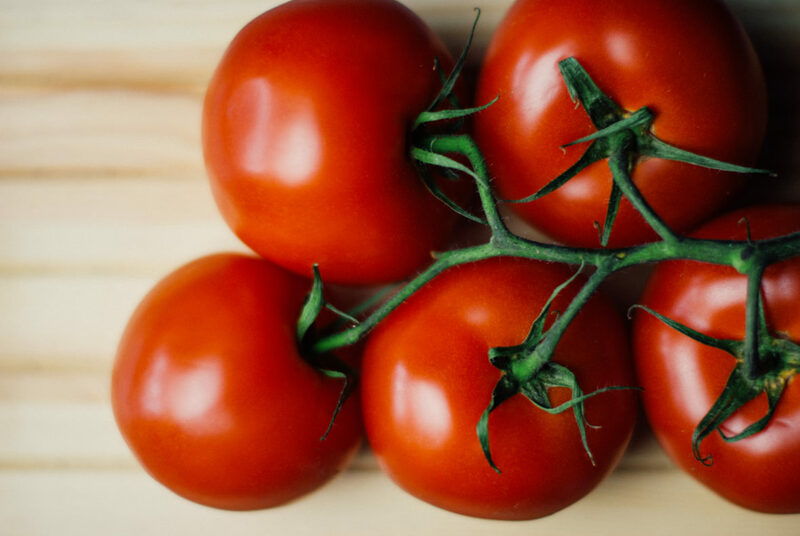 Take a look below for 28 more interesting and fascinating facts about tomatoes. 1. The modern species of tomatoes originated in western South America. 2. The Nahuatl word “tomati” gave rise to the Spanish word “tomate”, from which the English word “tomato” came from. 3. Tomatoes use as a cultivated food may have originated with the indigenous people of Mexico. 4. The Spanish discovered the tomato from their contact with the Aztec peoples during the Spanish colonization of the Americas, then brought it to Europe, from where other parts of the European colonized world were introduced to the tomato. 5. Tomatoes are consumed in many ways, including raw, as an ingredient in many dishes, sauces, salads and drinks. 6. While tomatoes are botanically a berry-type fruit, they’re considered a culinary vegetable and as an ingredient or side dish for savory meals. 7. 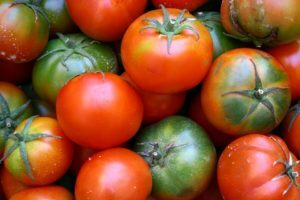 Tomatoes that have been modified using genetic engineering have been developed, and although non are commercially available now, they have been in the past. 8. The first commercially available genetically modified food was a variety of tomato called the Flavr Savr, which was engineered to have a longer shelf life. 9. 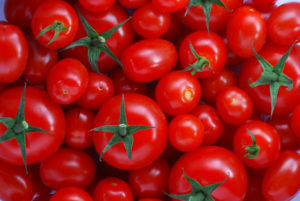 An international consortium of researchers from 10 countries, among them researchers from the Boyce Thompson Institute for Plant Research, began sequencing the tomato genome in 2004, and is creating a database of genomic sequences and information on the tomato and related plants. 10. The Pueblo people are thought to have believed that those who witnessed the ingestion of tomato seeds were blessed with powers of divination. 11. The large, lumpy variety of tomato, a mutation from a smoother, smaller fruit, originated in Mesoamerica, and may be the direct ancestor of some modern cultivated tomatoes. 12. As a member of the deadly nightshade family, tomatoes were falsely thought to be poisonous by Europeans who were suspicious of the bright and shiny fruit. 13. Spanish conquistador Herman Cortes may have been the first to transfer the small yellow tomato to Europe after he captured the Aztec city of Tenochtitlan, which is now Mexico City, in 1521, although Christopher Columbus may have taken them back as early as 1493. 14. The Aztecs used tomatoes not only as a food, but also as a powerful and dangerous hallucinogenic. 15. Tomatoes can be stored for longer if you store them with their stem down. 16. It’s speculated that there are over 25,000 different tomato varieties. 17. Many European countries resisted to include the tomato and other new world fruits and vegetables into their diets. They feared them because they were not mentioned in the bible, untrained use led to bad yields on farms and inedible parts caused sickness and death. 18. Americans get more vitamins from tomatoes than from any other vegetable. 19. 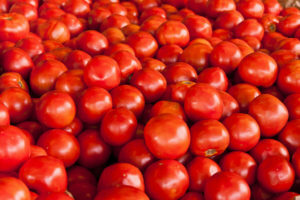 An average American eats around 24 pounds of tomatoes each year. 20. During the 17th and 18th century, tomatoes were often used in Italy as a table decoration. During that time, an Italian botanist created countless types of tomatoes through selective breeding. 21. 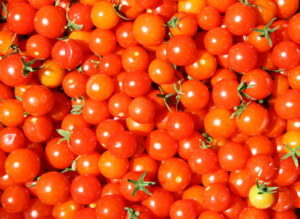 Modern day production of the tomato in the United States came from botanist Alexander W. Livingston, who created several types of tomatoes that were suitable for mass industrial production and processing. 22. 93% of American gardening households grow tomatoes. It’s the most popular vegetables in the United States. 23. 96% of the American processed tomato production comes from California. However, Florida is the leader in the production and sale of fresh market tomatoes. 24. The heaviest tomato ever was 3.51 kilograms. The largest tomato plant ever reached 19.8 meters, and the biggest tomato tree ever managed to grow 32,000 tomatoes that weigh 522 kilograms. 25. Tomatoes will rapidly lose their vitamin C if sunlight can reach them while they’re stored. 26. Sometimes, tomatoes are picked green and are dosed with ethylene gas on their way to the supermarket. This way when they arrive, they’re ripe. 27. Green tomatoes will ripe if you store them together with apples. 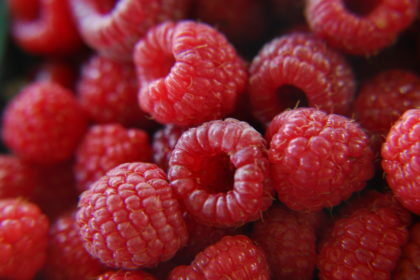 The released ethylene gas will provide the perfect conditions to ripen faster. 28. Americans have increased their tomato consumption by 30% over the last 20 years.